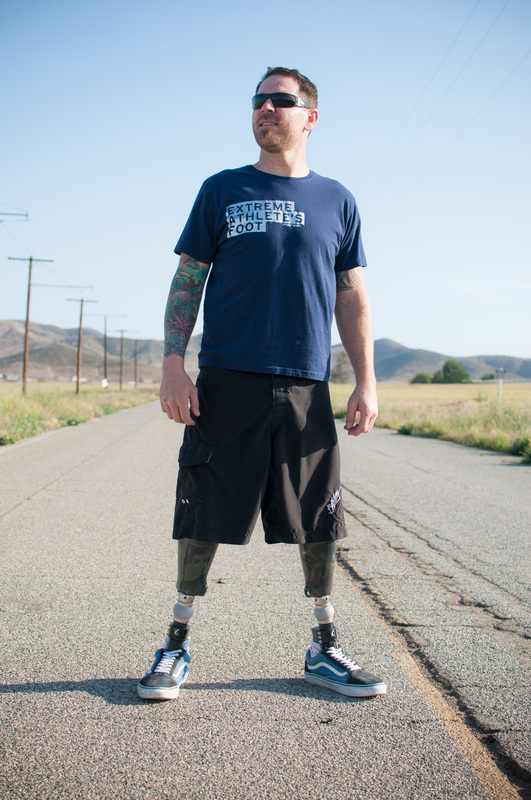 Nick standing tall 11 months after he lost his legs and broke his back. Nick Fener is a bit of a local celebrity here in Southern California. Growing up in Canyon Lake, he went from High School partier, to trusted and sought-after local plumber, to popular professional skydiver. Nick Fener was living his ultimate dream: he had a fun-loving and dedicated girlfriend, three amazing dogs, a house on the hill, the dream job of a lifetime, a supportive family, and a huge circle of friends. This blog site, written almost daily by Lindsay, is dedicated to the hundreds of friends and fans, near and far, who want to feel connected to Nick’s radiating positive energy and undying love of life. Please follow us on our journey to enjoy life to the fullest, no matter what it looks like. Sometimes life doesn’t turn out the way you hoped, but you have to change, adapt, and never give up. You have to Get Busy Living… just like Nick Fener has. Luv the blog, Lindsey and Nick. You two just amaze me. Keep up the hard work Nick we are all so proud of you and Lindsey. God Bless you both. Linds, you are too funny! And, yes, you are so right with regards to those two little words, “I’m Sorry.” That whole “Love means never having to say your sorry” is bull. You got it right. I’m sending your comments and your dr.’s recommendation with regards to smoking pot for the pain. It so true. I have several friends with various injuries and chronic pain that use it and it’s a life saver without all the bad side effects of the drugs. Nick, you would seem to be the perfect candidate for this type of treatment. And I bet you even know one or two people who might have access to this wonder drug….maybe? I just love this new blog …… and both of you too !!! Maybe we’ll catch up with each other soon. ….Still waiting to hear from my video girl, yes or no…why say no when yes feels so good!!! You guys are such an inspiraton!!! I love this new format. A part of me wishes I would blog my deployment/military experience, but it’s so much WORK! Nick and Linds, you NEVER cease to amaze and touch me. I have shared your story/blog with a LOT of people, and I get asked about how you are doing almost every day. I even have my Feet For Fener foorprint sticker on the front of my cranial at work, and on the back a big “Get Busy Livin'”. I am also asked about it almost daily and I take greart pride in sharing your story! I LOVE YOU BOTH! I love the new blog look! Awesome and inspiring as always. You both are badasses! Miss you and love you!